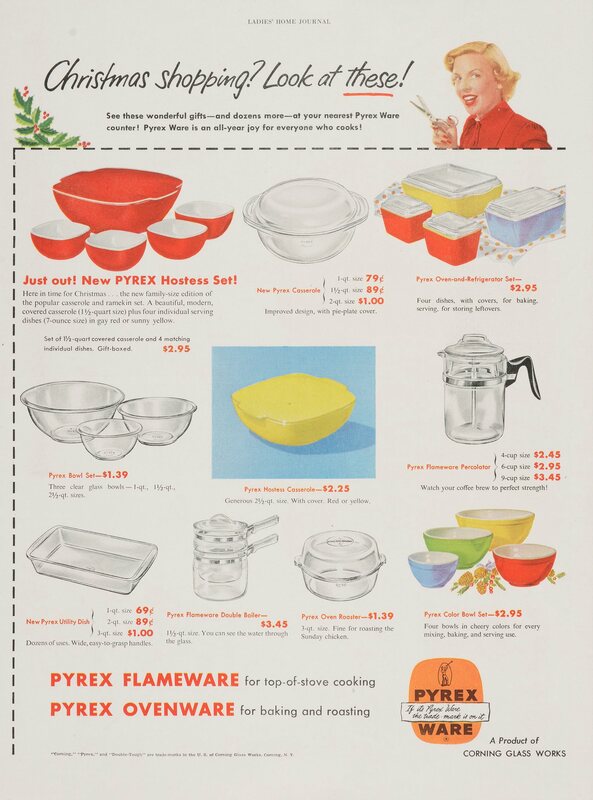 See what’s new for you in Pyrex Ware! “See what’s new for you in Pyrex Ware!,” Corning Glass Works, Published in unknown periodical, November 1942. CMGL 135074. Read more about See what’s new for you in Pyrex Ware!